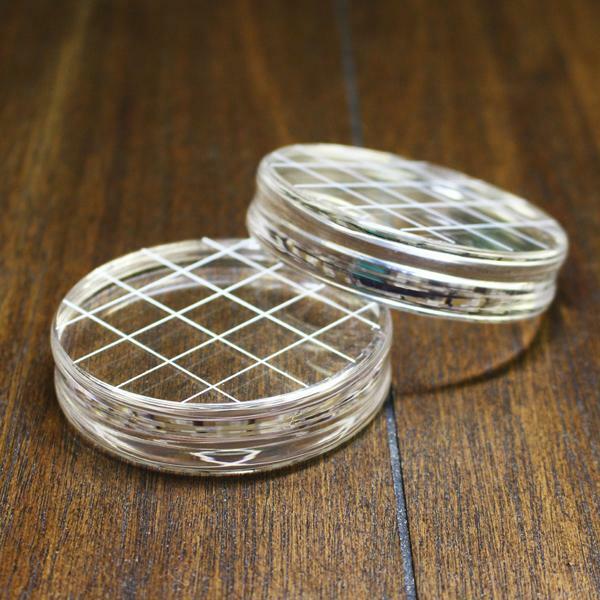 Frantic Stamper has come out with a unique die that can be used for cards & other paper projects or you can use it to make a treat cup and/or basket. Let's take a look. We'll start first with the card. I first die cut the doily from the Bonnet Basket Treat Cup die from white cardstock and used that for the focal point of my card, trimming off one side. I die cut the light pink flower and the black leaves with that die set out of felt. 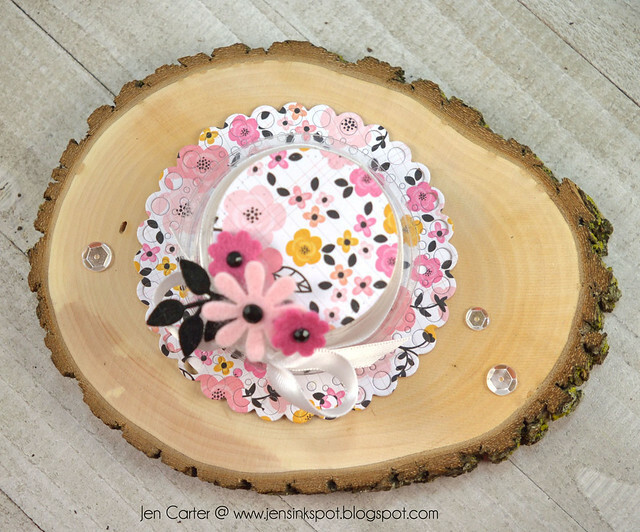 The smallest flower was die cut using the Floral Confetti die. I arranged the flowers around the outside of my doily. 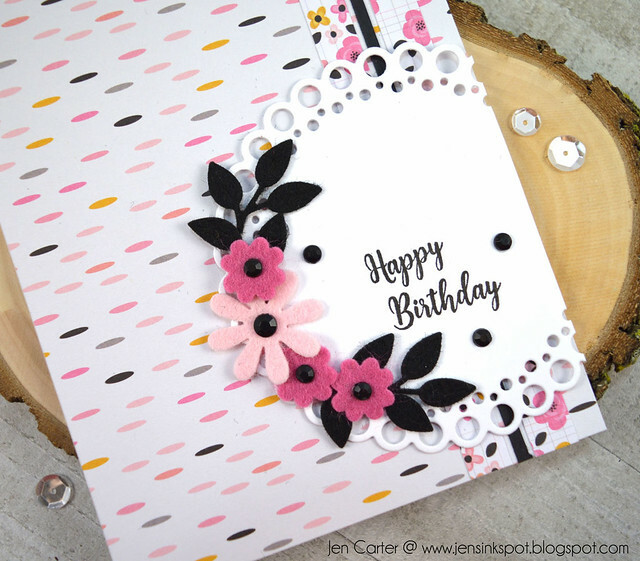 I stamped the sentiment with the Many Happy Birthdays clear stamp set and then added a few black dots for accents and for the flower centers. 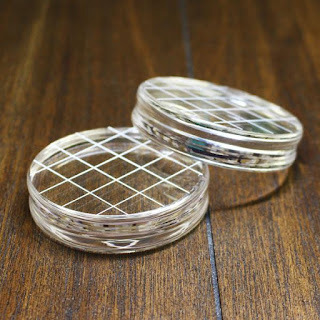 Using the same die set you can turn treat cups (available here) into little bonnets/hats or baskets (use the long skinny scalloped piece as a handle). 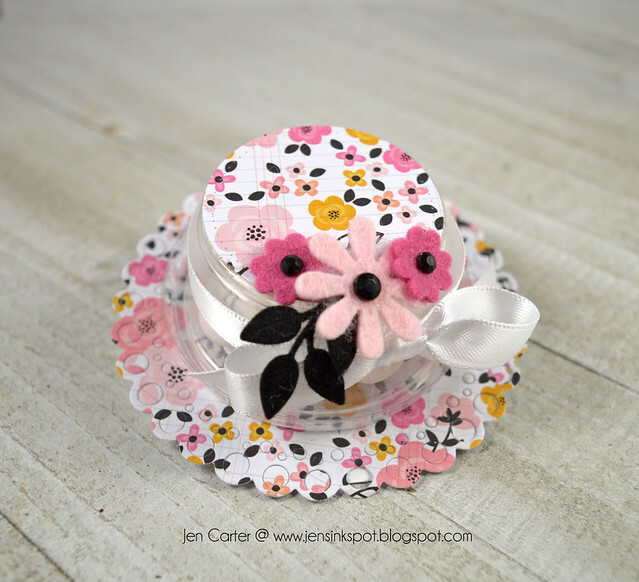 For this one I used the same supplies as I did for the card and adhered them to the treat cup. Makes a cute party favor doesn't it? I love Christmas where we celebrate the baby Jesus coming into the world. And then a few short months later we have Easter where we celebrate that this same being overcame death and offers us the greatest gift we could ever imagine...eternal life with Him in heaven. If you're interested in learning more, please check out this video. This is a card that celebrates that. 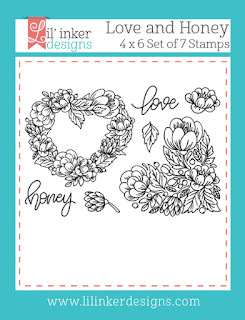 Frantic Stamper's newest release focuses on Easter and Spring. This card is probably my favorite from those I made. I created the background by applying lots of Distress Oxide inks to the paper. 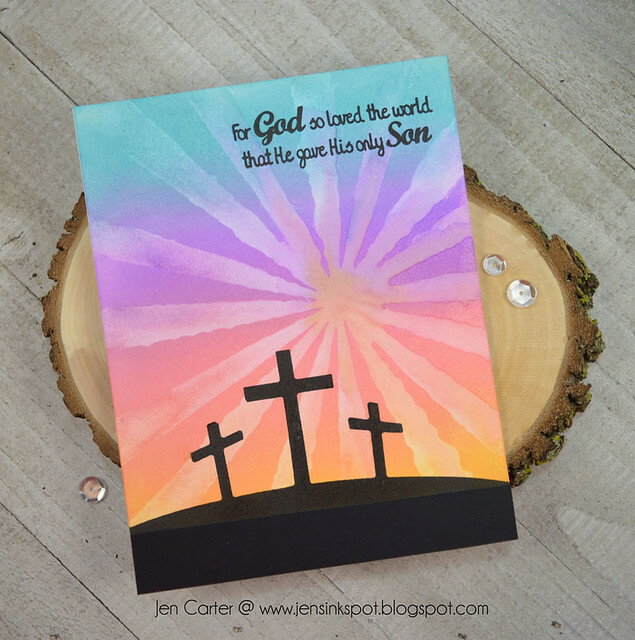 Then I took the Sun Rays background stamp and "painted" it with lots of water and then stamped it on my paper. I love the look that gave! 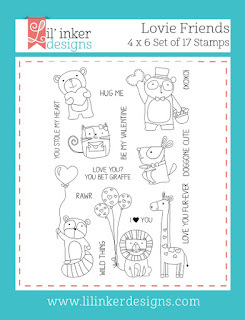 I then stamped the crosses & the sentiment with the new clear Faithful Thoughts stamp set. I added a little piece of black cardstock to make the ground a little thicker. It looks like a very pronounced line in the picture but in real life it blends in nicely. 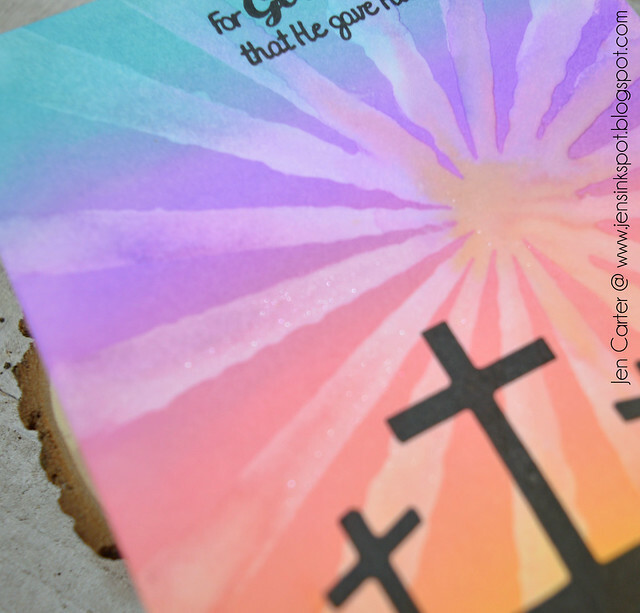 I used a Nuvo Aqua Shimmer Glitter Gloss pen to add shimmer to many of the sun rays that are coming down toward the cross. 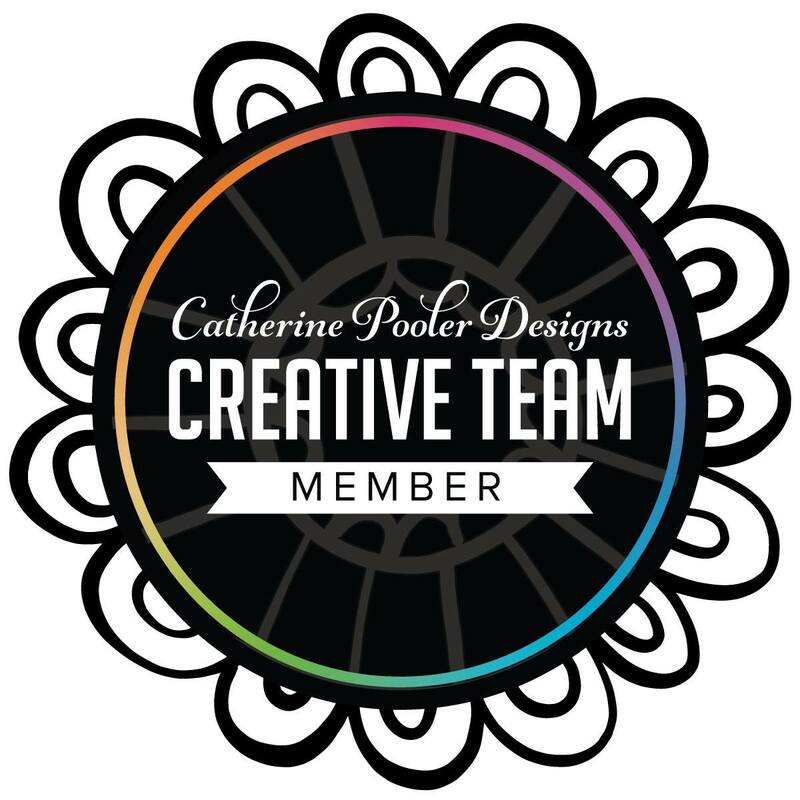 Today is Catherine Pooler's birthday! The design team wanted to shower her with love and I wanted to share the card I made for her special day! 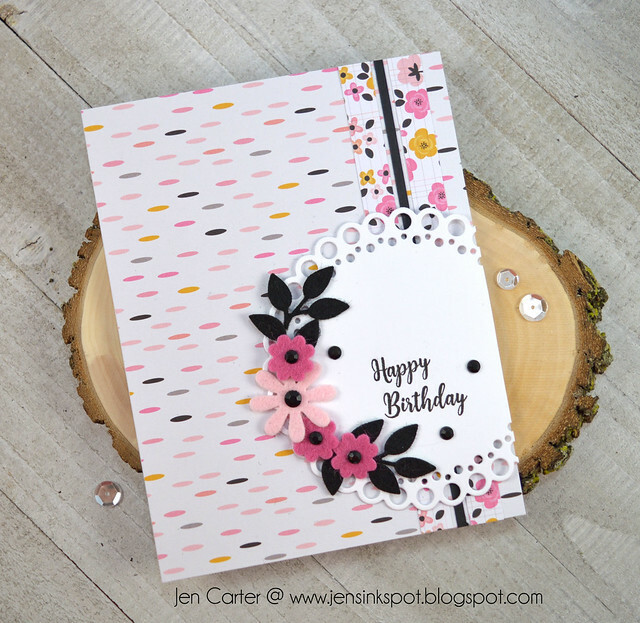 This month we are also celebrating Stamp Nation's birthday so this card is not only for Catherine's birthday but for the Birthday Card Stash Done! Challenges going on. Today's tutorial and sponsor comes from Winnie & Walter so I featured some products from their store too! 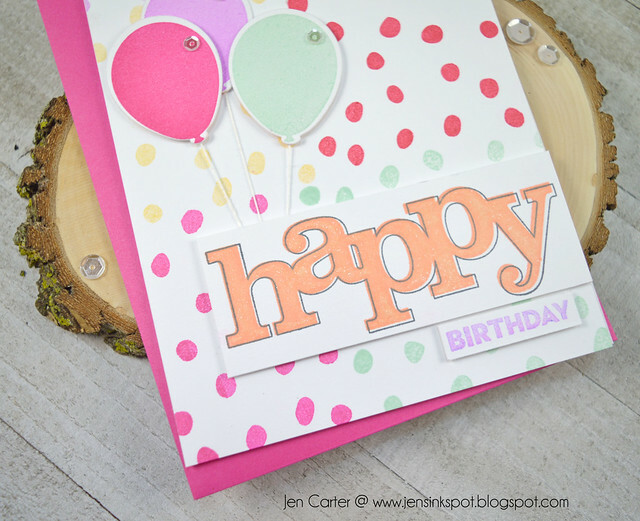 I knew I wanted to incorporate as many ink colors into this card as I could because when I think of birthdays I think lots of fun colors! 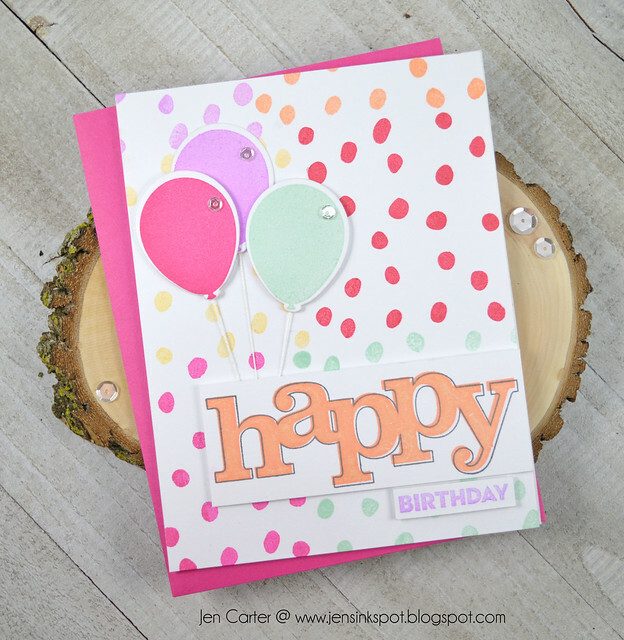 For the background I used Winnie & Walter's Mini Scenery: Spotty stamp that I love! 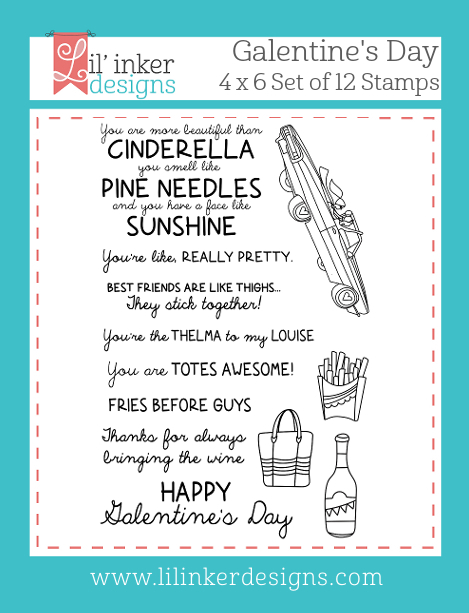 I stamped it with Pixie Dust, Bellini, Tiara, Rockin' Red, Party Dress & Mint to Be inks. 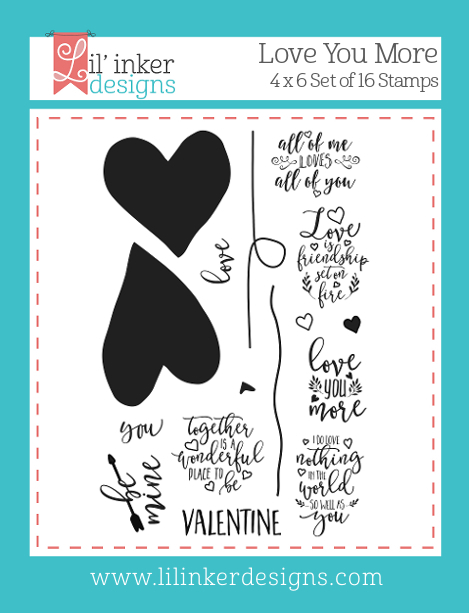 I used one of the bold stamps & the matching outline stamp from the In a Word: Happy stamp set, stamped in Bellini & Black Jack ink. 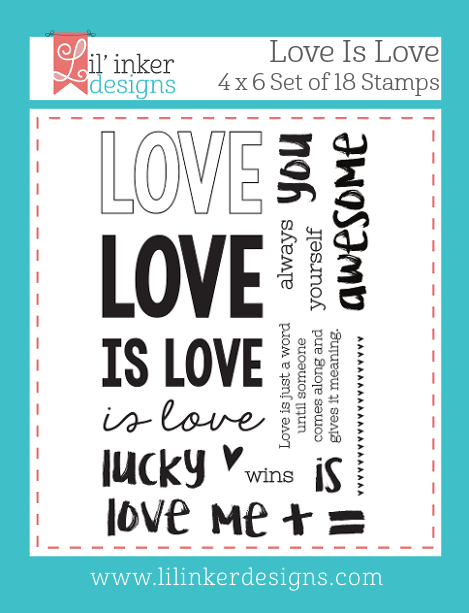 The sentiment below, from the same stamp set, is stamped with Pixie Dust. Both sentiment panels are popped up with dimensional tape. The balloons are from a Simon Says stamp set called Birthday Balloons. It's hard to see but I added glitter to the top of "happy" with a Nuvo Aqua Shimmer Glitter Gloss pen. Happy birthday Catherine! I hope you feel loved this birthday!! You are truly a kind, loving person and I'm so blessed to be on this team with you! Hello friends! 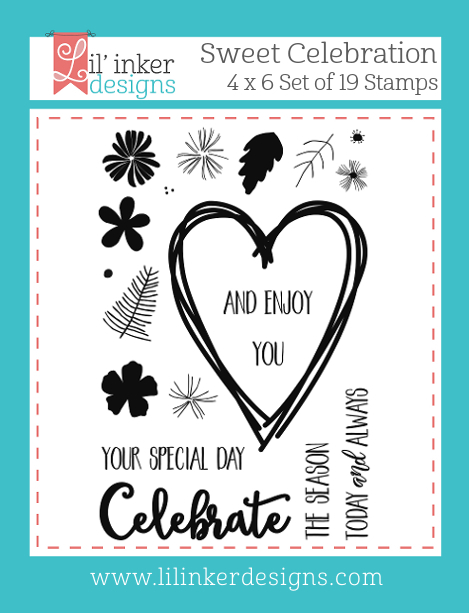 I shared this card over at StampNation last week but I wanted to share it with you too! 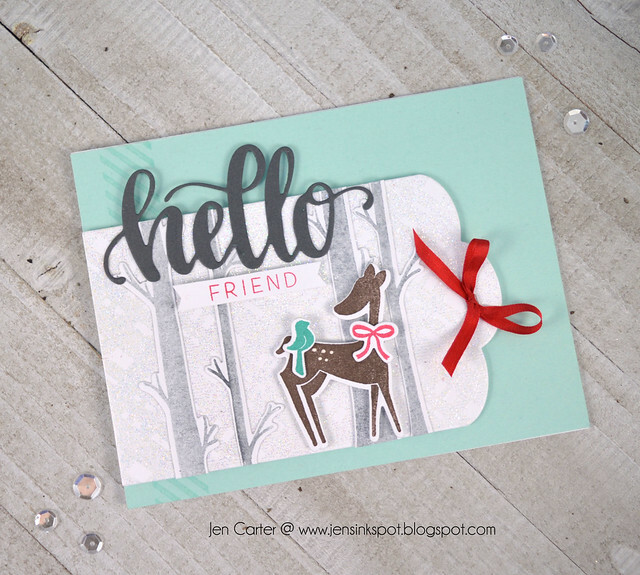 I love this stamp/die set from Catherine Pooler called Winter Wonderland. 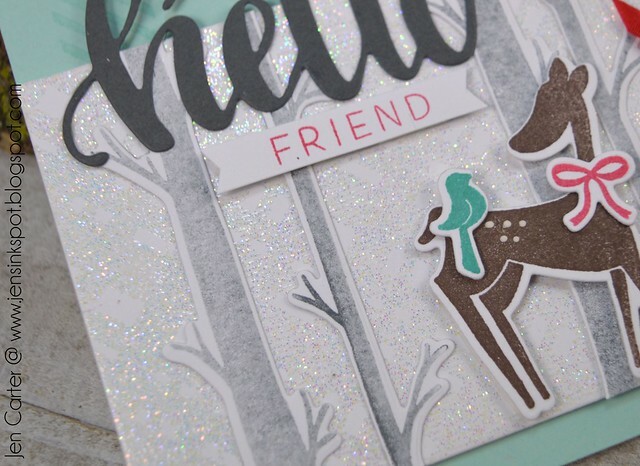 I wanted to create a wintry scene and so I die cut the trees, deer, bird & bow with the Winter Woodland dies and then stamped them with the Winter Wonderland stamp set. 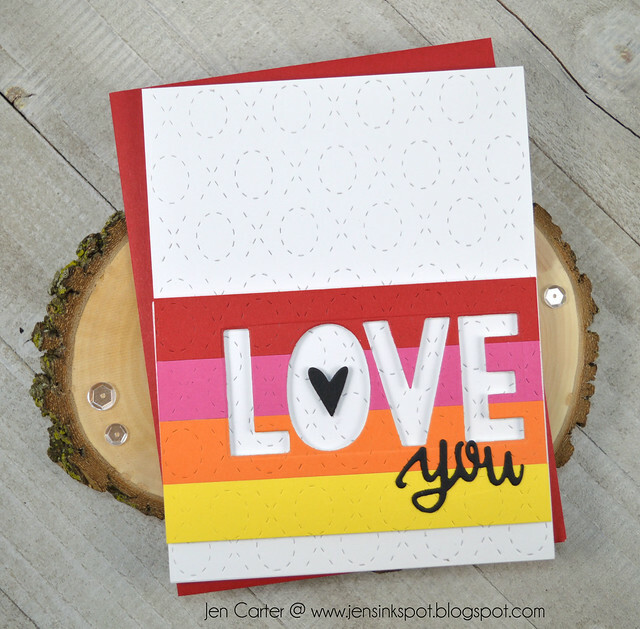 I used Catherine Pooler inks Icing on the Cake, Rockin' Red, Aquatini & Black Jack (stamped off once). 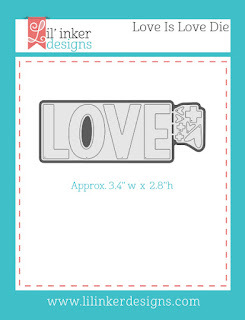 I die cut the large tag from the Lovely Flowers & Banners die set. I then embossed the must-have Plaid Background with Wanderlust Embossing Powder to create a snow-like effect. It's subtle but is just the right addition for a winter scene. 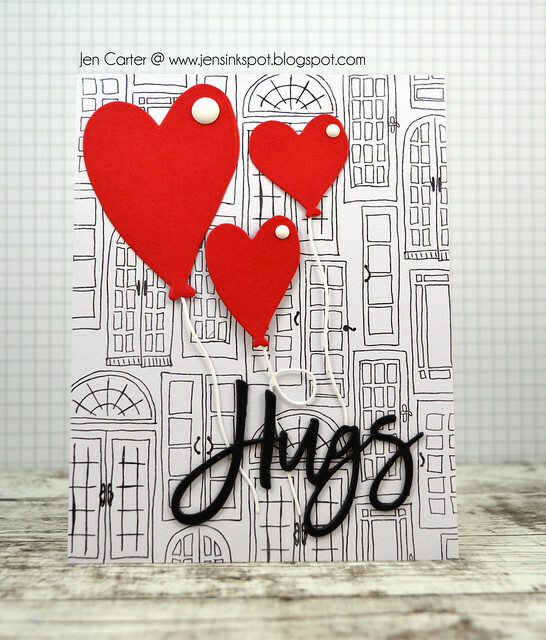 I paired the gorgeous Hello die with a sentiment in the Simply the Best stamp set. 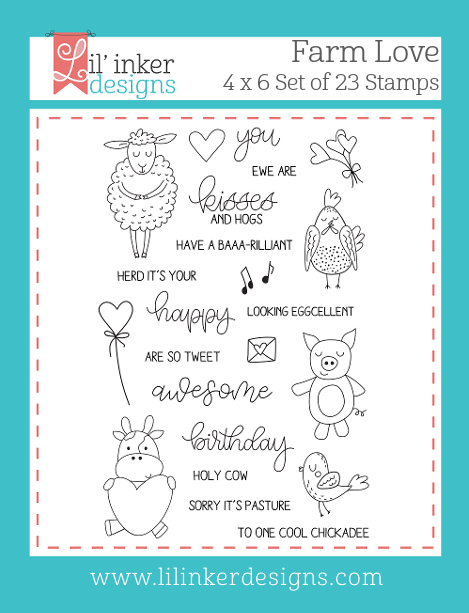 The deer, bird, sentiment banner & tag are all popped up with dimensional tape. 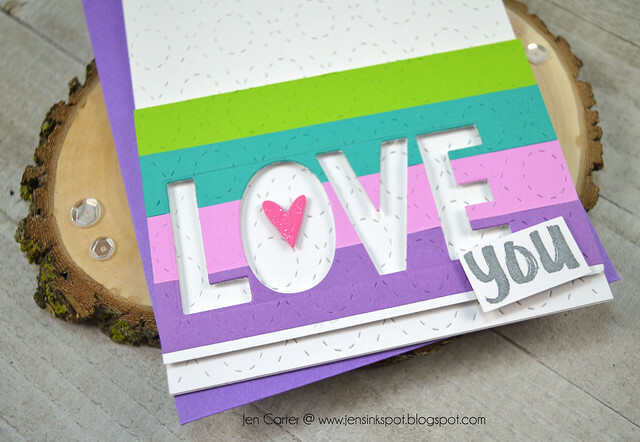 I stamped a stripe on the left hand side of my card panel using VersaMark and one of the border stamps in the YAY! 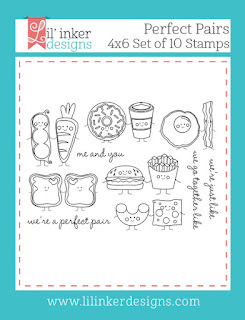 Stripes stamp set. I live in Kansas. We have cows. In fact I use to collect cow home decor, LOL! Really, it was a thing. Lots of people did it. And it was really cute. Remember Mary Moo Moos? But I don't collect cows any more. And the funny thing is that I don't even live on a farm. I've always lived in town or in large cities. And I don't know the first thing about cows. But I do love seeing cows grazing in a field and I often find myself exclaiming "Holy cow!" over things, LOL! 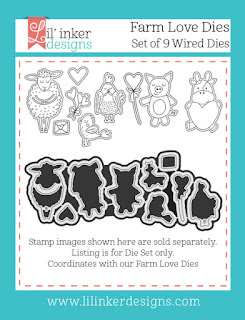 So enter the new stamp & die set from Lil' Inker Designs called Farm Love. And guess what? It has a sentiment that says, "Holy Cow". 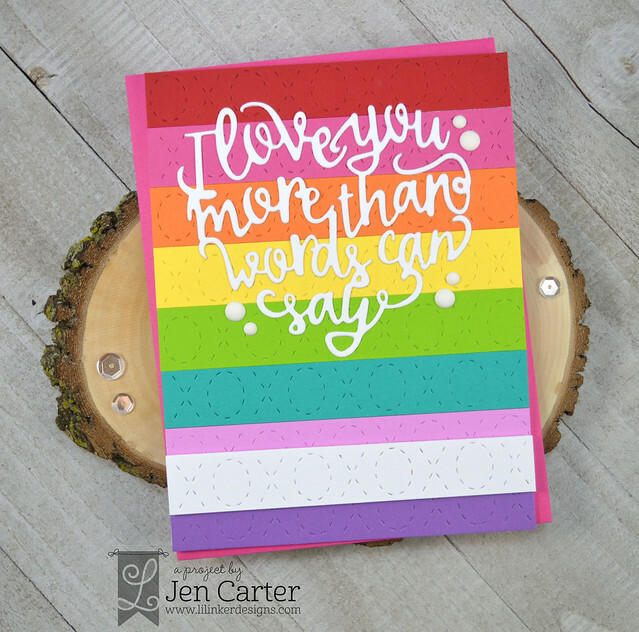 I knew right away I had to make a card using that "so Jen" sentiment! 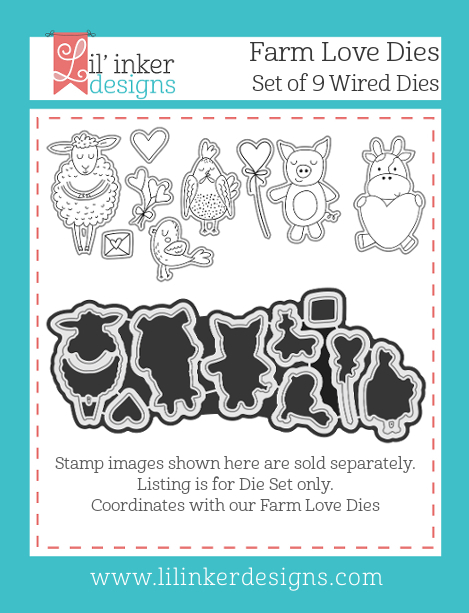 I started by die cutting the animals with the Farm Love die set and then stamping with the super cute, coordinating Farm Love stamp set. They are so adorable! I colored them with copics and added a few white dots with a gel pen. 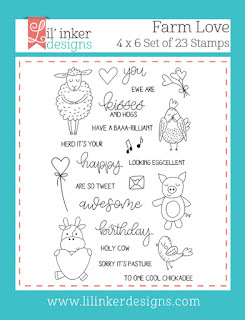 I die cut the bubble with the Speech Bubble Die Set 1 and then stamped the Holy Cow sentiment from the Farm Love stamp set. 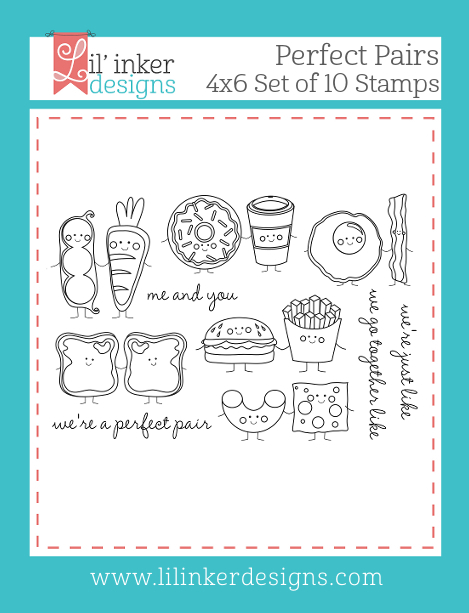 I really like that this stamp set is versatile for so many occasions! 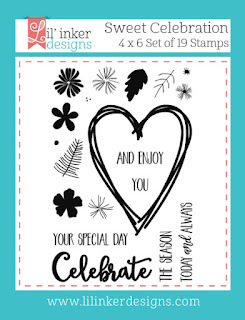 I'm going to link this up at StampNation for their Birthday Bash that is happening now! 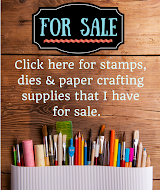 If you aren't a member of StampNation and you're looking for a great group of stamping friends who share their work, video tutorials, contests, challenges, and so much more then you'll want to check it out! Thanks for visiting today! I hope you have a great day! 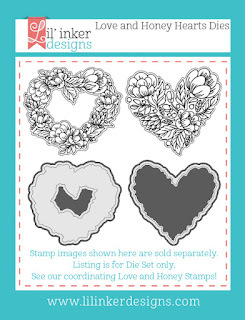 One set that I haven't yet shown on my blog for this release is the Love & Honey Stamps and Love & Honey Hearts dies. 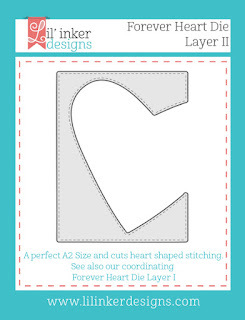 For this card I die cut the heart from white cardstock using the Love & Honey Hearts dies. I then heat embossed the coordinating image from the Love & Honey Stamps and then colored the image with Zig Real Brush markers. 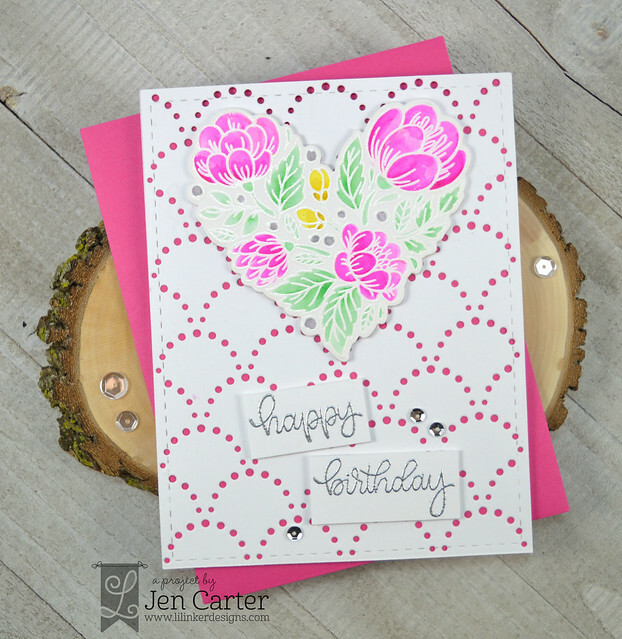 I placed the heart on the card panel that I cut using the gorgeous Cover Up Die: Dotted Scallops. The sentiment, from Farm Love, is embossed with silver embossing powder. 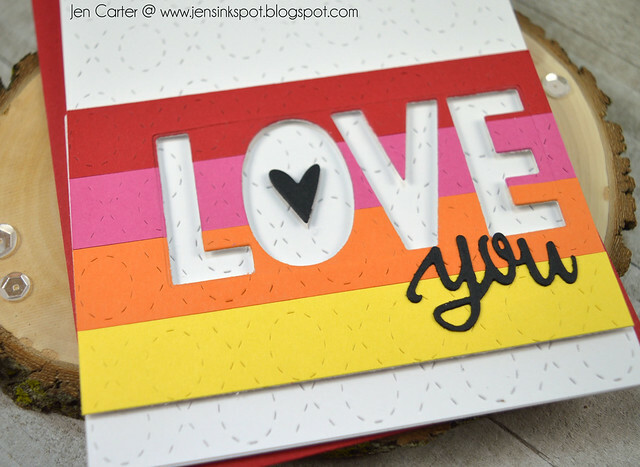 Here's another card I made using the rainbow strips from the previous Quilted Stitched XOXO card that I shared a few days ago. I started by arranging the strips that I had previously die cut from 8 different colors of cardstock using the Quilted Stitched XOXO die. I popped the white strip up on the bottom of the card with dimensional tape. 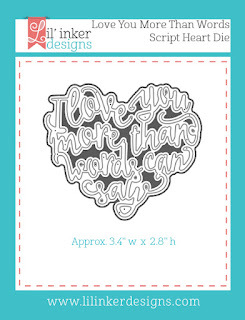 The heart shaped sentiment is die cut using the Love You More than Words Script Heart die. 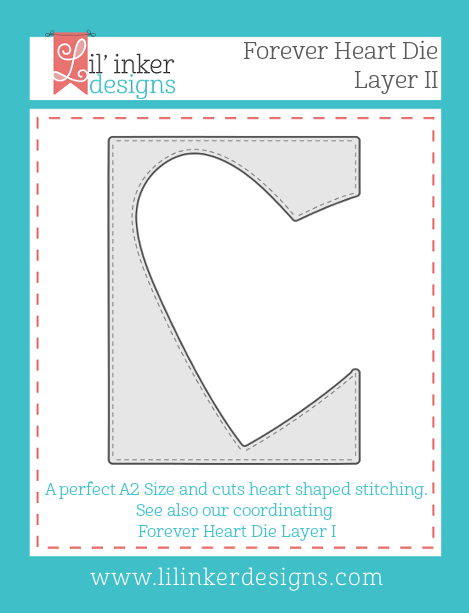 To more easily adhere this intricate die cut I used Stick it! 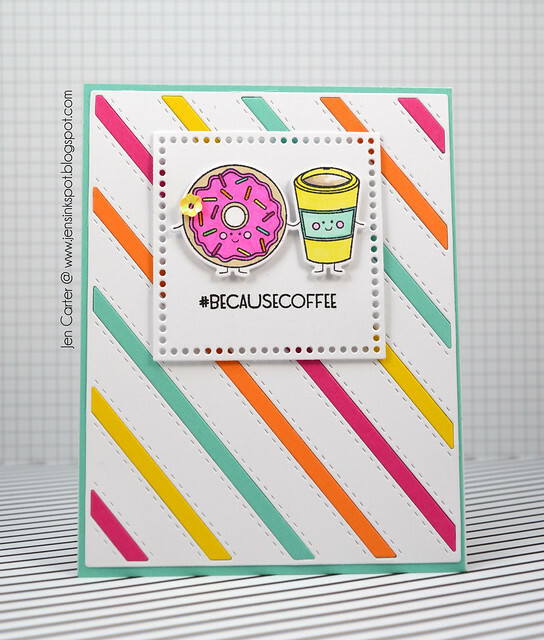 To finish the card off I added some matte enamel dots. Here's a look at the products I've used today and also the new products available now that I didn't use on my projects today. They are all available now in the Lil' Inker Designs store. 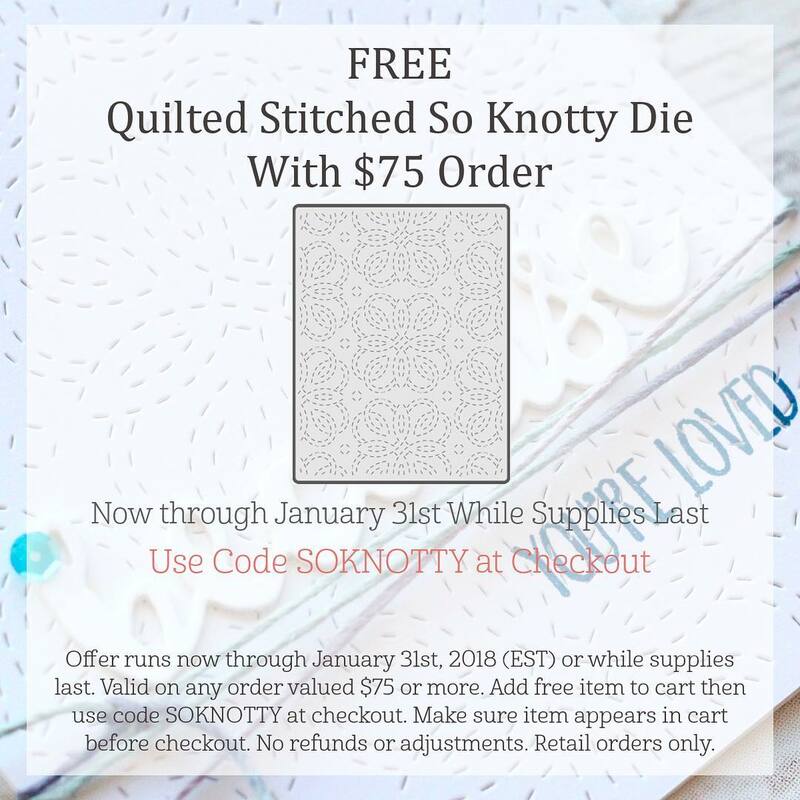 And, don't forget that the beautiful Quilted Stitched So Knotty die is free with a $75 purchase while supplies last. 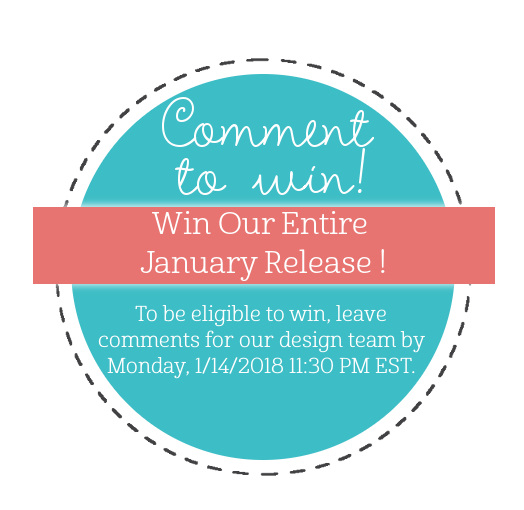 Be sure to comment on my blog for your chance to win the entire January release from Lil' Inker Designs! 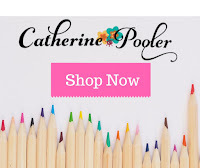 It is release time for Catherine Pooler's Stamp of Approval Love is in the Air collection. The collection is now available for those who weren't on the Wait List. But hurry because they often sell out quickly! 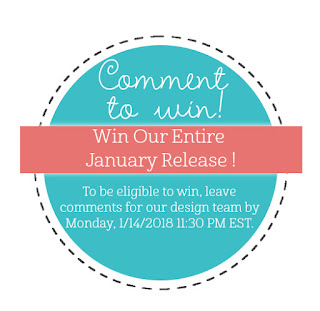 And, you won't want to miss several NEW Products that are available today too! 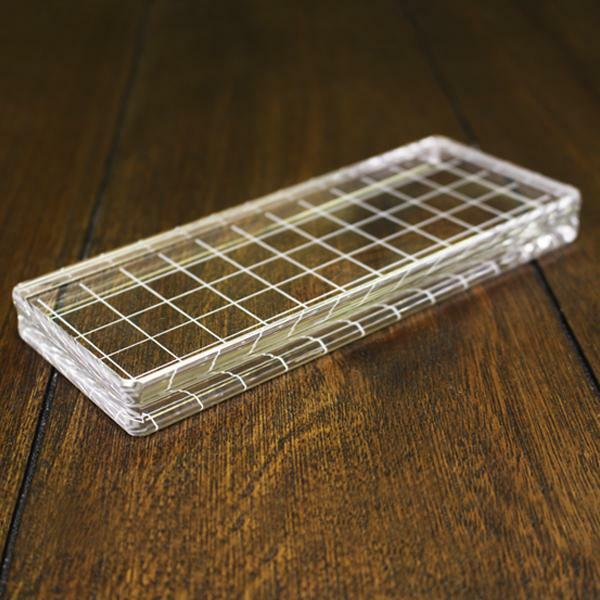 Along with the SOA box there are other new products now available as well. 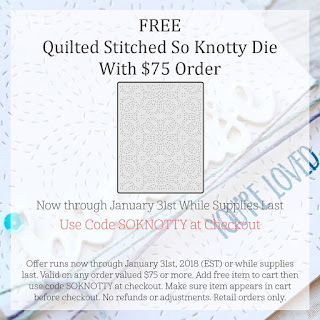 Get them while they are still in stock! 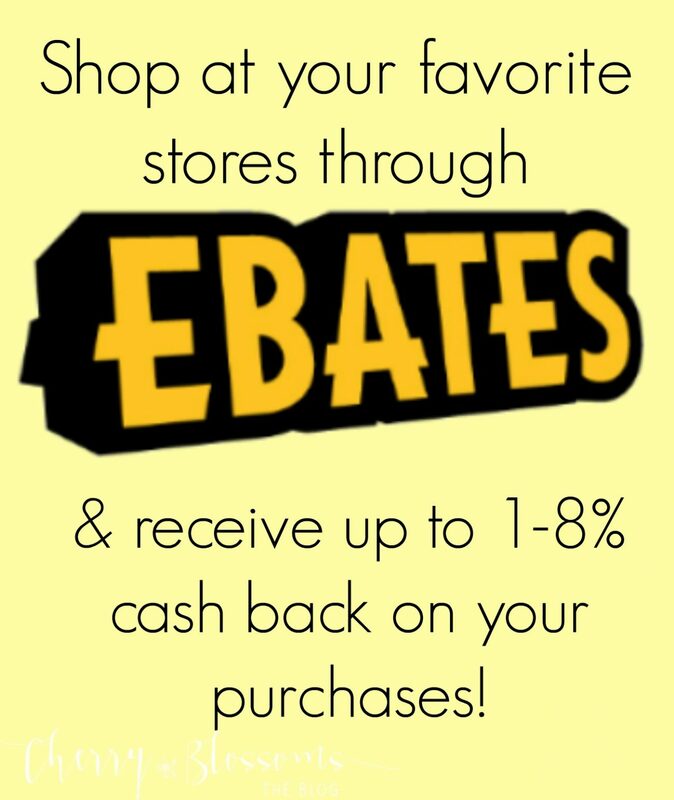 Here's an easy shopping guide! 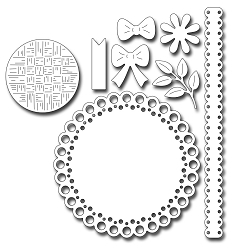 SOA Add-on Dies: Grab the add-on die sets while you can! 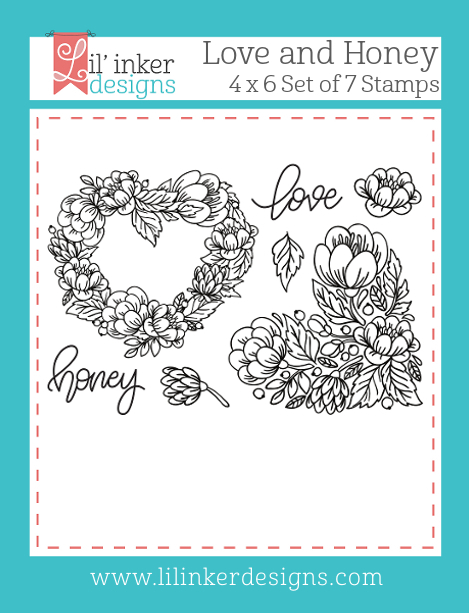 There are two that coordinate with the stamps in the SOA box. 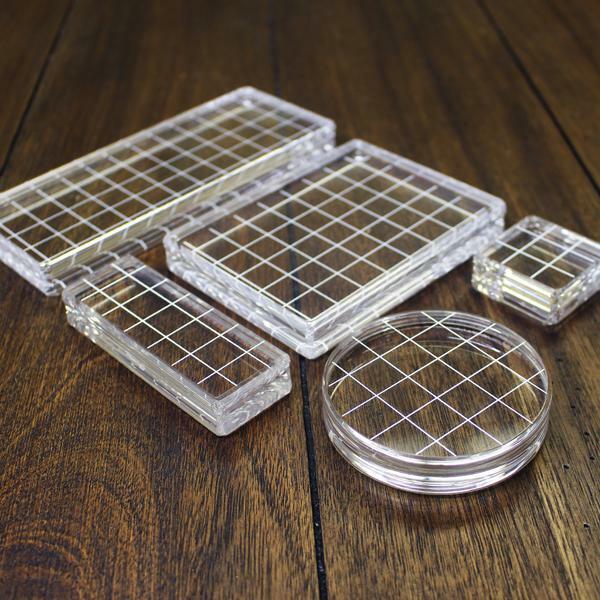 New Grid Acrylic Blocks: There are TWO new block sizes now available! Believe me, you'll want them...and love them! 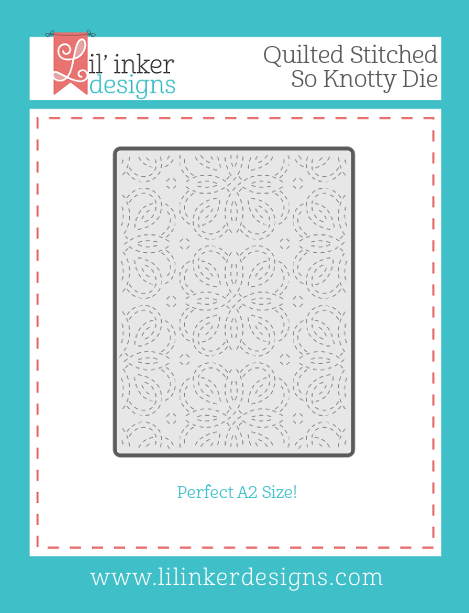 There's a round, grid line block in the new light-weight style with grooves & a border grid-line block too! (Pictures at the end of the post). 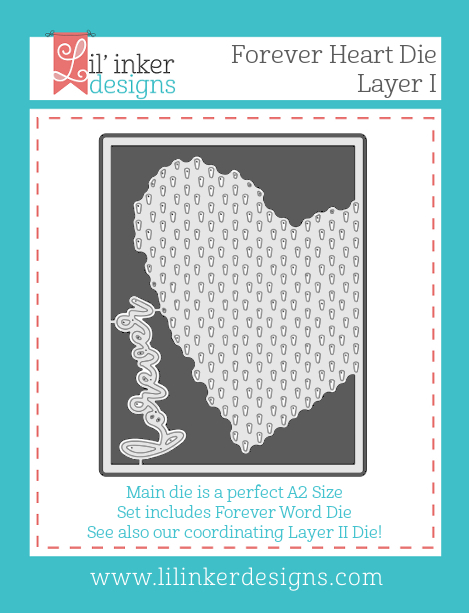 I highly recommend the 5 grid block bundle because you'll want all the sizes! 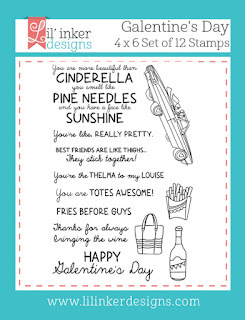 Let's take a peek at some of the products from the box on a card! I love making my own black & white backgrounds and when I saw the "xox" stamp, I knew it would be perfect for this technique! I started by stamping the "xo", from the Love is in the Air stamp set, repeatedly (I cut off one of the x's on the stamp with a very sharp detailed pair of scissors so it would be easy to repeat the pattern) with Midnight ink. I then die cut the panel with one of the Postage Stamp Dies. I stamped the clouds from the same stamp set with Mint to Be ink. I die cut the Sunburst die out of yellow cardstock and then cut it in half to adhere to the bottom of the panel. 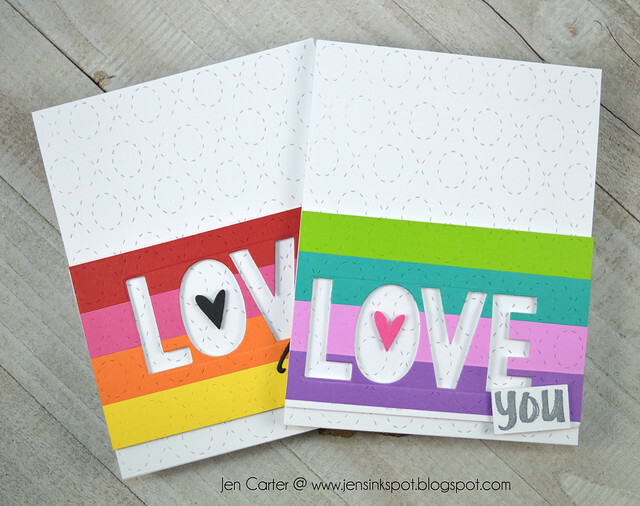 There are two add-on sets that you can purchase with this release that coordinates with the Love is in the Air stamp set (used above) & the Bon Voyage stamp set (seen on this card here). You can find both of those add-on die sets here. Here's a look at the new acrylic grid line blocks that you'll want to add to your order! :) Trust me! They are worth it! 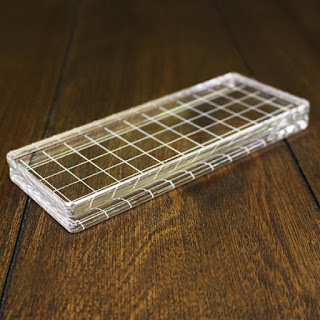 Acrylic Grid Block 2.5" x 6.125"
Thank you for joining me today for release day! 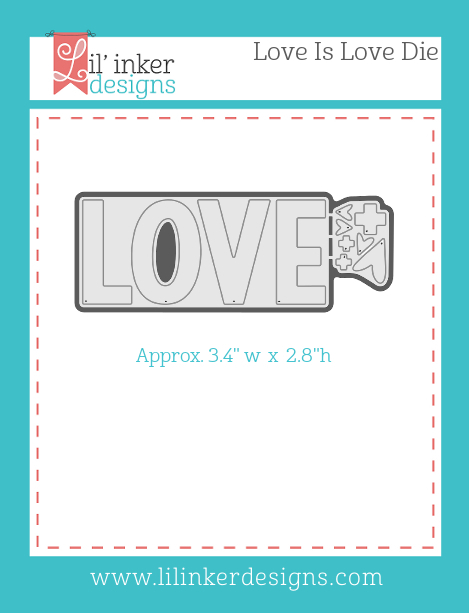 If you haven't already ordered the Love is in the Air Stamp of Approval box, you better hurry because they could be sold out soon! I hope you have a wonderful day!